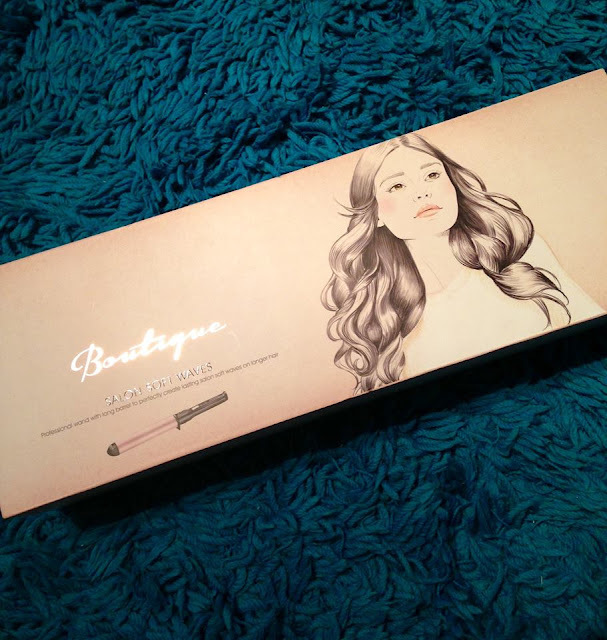 I have owned many curling wands/irons in my life but this one I'm ever so slightly more in love with compared to the others, let me introduce you to Boutique by BaByliss, BaByliss are renowned for always creating really good quality hair products to give different effects to your hair, now on a recent trip to Boots, I bought the Boutique Wand. What actually drew me to this was the stunning packaging, it didn't have anything to do with the fact that it was *coughs* ROSE GOLD!! surprise surprise. I have extremely long hair which is a pain to wash but so much fun to do different hairstyles with, I especially love doing a fishtail braid as I think it really suits me. I not only liked the packaging but it's designed for long hair, perfect for long hair & in rose gold....what more could I ask for! I have used it for the past few days and I'm extremely impressed with it at £79.99 RRP I think is an extremely good price for the quality and value of this product, It's very easy to use, perfect travel size & doesn't come with a list of instructions that are long enough to read from now till the end of time. It's a pretty self explanatory product, press a few buttons and you're good to go! 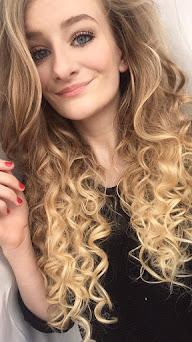 It's perfect for long hair, I tend to have my temperature set on 180 as it's hot enough and i feel the perfect temperature for my hair, I tend to hold mine a little longer on my hair than the recommend settings as I personally feel it holds the curl that little bit more. I LOVE this curling wand and I'm chuffed to pieces that it's now a staple in my hair care, you can create so many cute and girly styles with it, you cand do everything from a casual slouchy beachwave look to a glam night out look with this wand, if you're looking for that perfect christmas present for any beauty fan than I'd highly recommend you take a look at buying this wand, which is currently on a bargainous price at £30 in Boots! 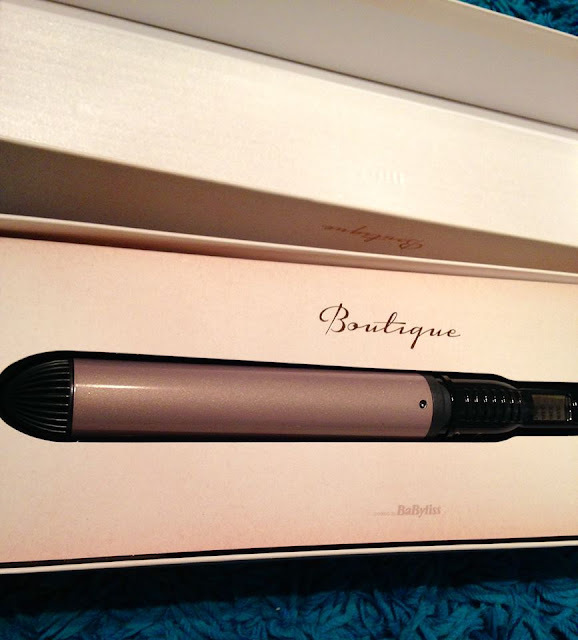 Do you own a curling wand? Yes this blog post title may have surprised you, the rumours are true Newlook have released a homeware collection and I think I'm in love with it! 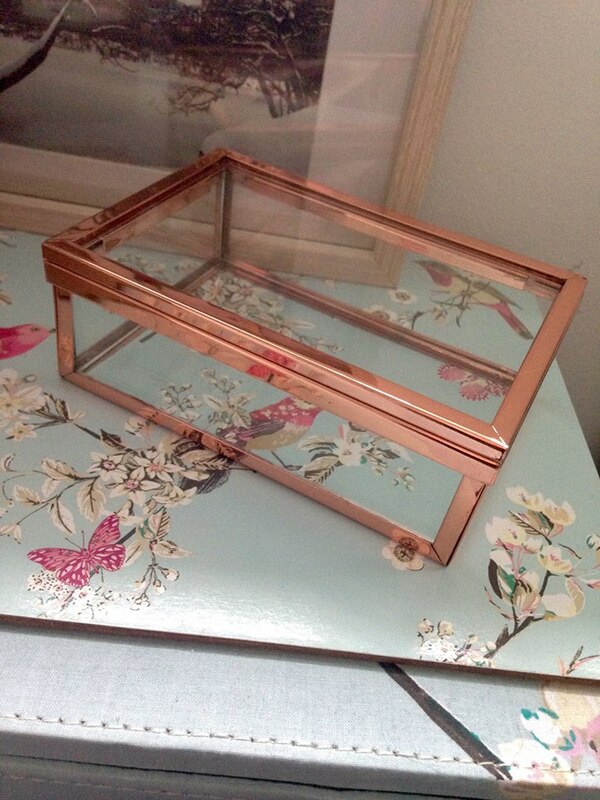 For a every long time now I've longed for Newlook to launch a home interiors collection. Interior design and homeware is another one of my passions I just love how you can make a house turn into a home with little things, finishing touches everything! So whilst scrolling on the interweb I saw a little button which had some homeish looking things so I clicked and my eyes lit up like a firework. I knew straight away the one place I was heading when I was next in town and that was Newlook. 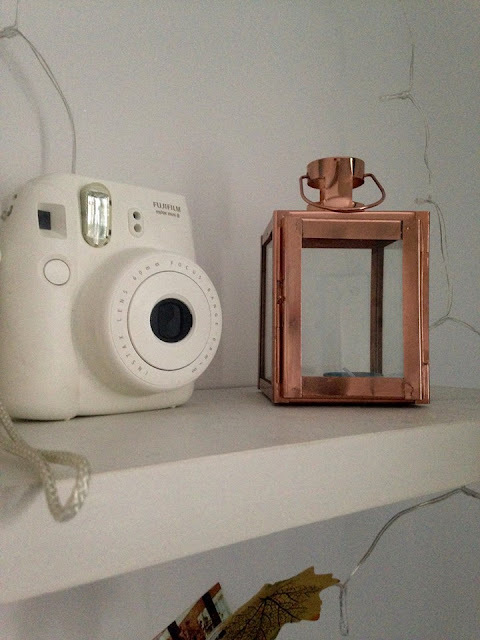 Newlook have gone and created some really cute and quirky items now we all know I'm a huge fan of copper/rose gold and let me tell you I wasn't disappointed when all I could see was copper/rose gold things screaming at me. 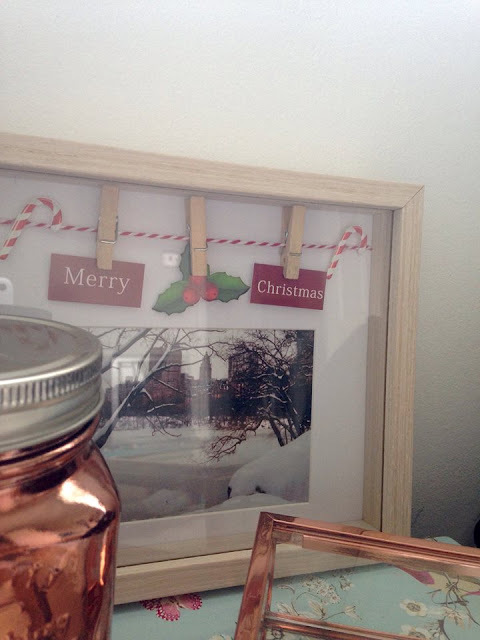 They have gone for quite basic but effective homeware items such as candles, jars, chalk boards (even typing that word gives me goosebumps uughh) and even little lights. 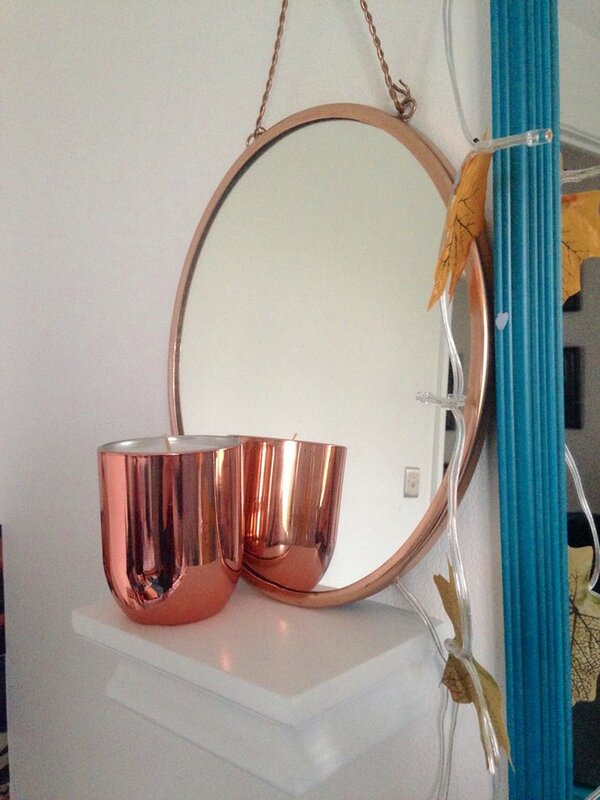 Now I picked up a few things as you know I'm one for all things copper. The first item I bought was actually the little Lantern which is of course in my fave colour rose gold, I like the size of this as it fits perfectly on my shelf and is a lovely little feature to my room. The prices for all this homeware are actually reasonable not too pricey yet not too cheap either in a good mix, I have to say the quality is extremely good too. I then picked up some more copper lights, it's not as if I have like five at home already *looks away shamelessly* I liked them because of how different they were compared to my current ones. 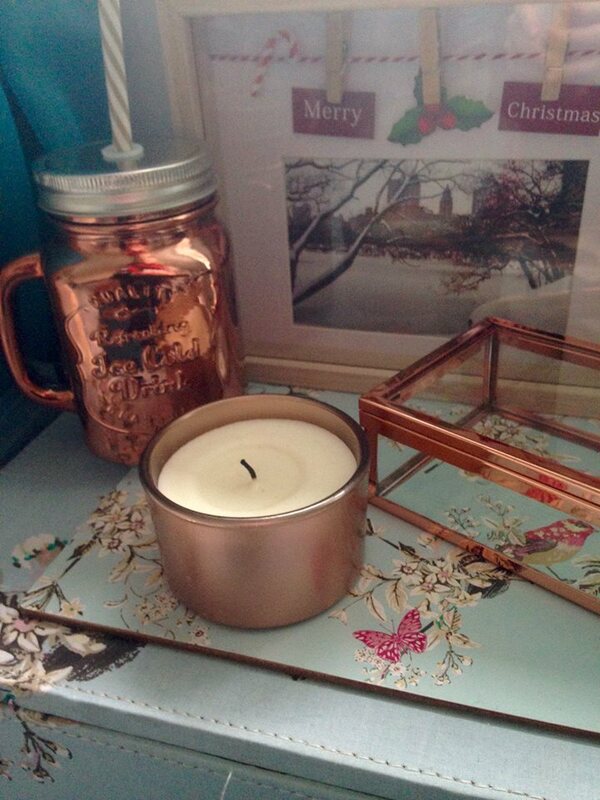 I have a mixture of little copper balls and copper stars (both from Primark) they were only £8.99 which I think is bloomin' bargainous. Over all I've quite impressed with newlooks homeware range I think it's very pretty, I can't wait for the next collection already! I love how they have gone for greys, whites & copper/rose gold as the first (of many *starts praying*) collection. I’m Jess & welcome to my lil space on the internet. beauty fashion & lifestyle related. thoughts, tips & tricks, reviews…. All content copyright © Just That Girl Online unless otherwise stated. Powered by Blogger. 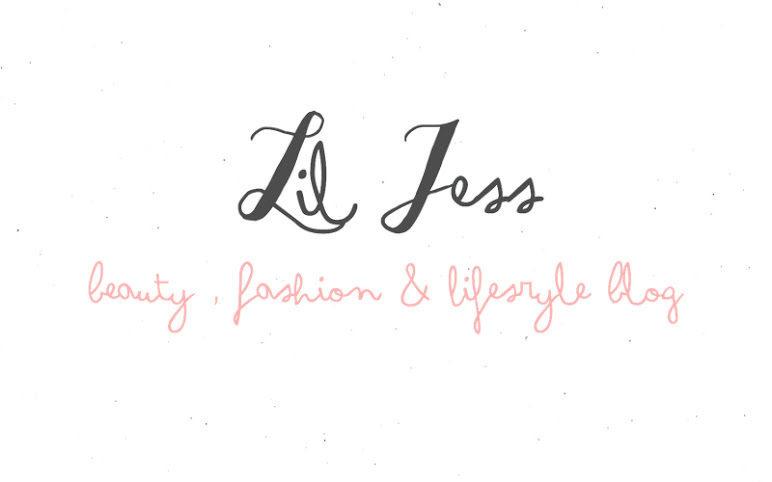 © Lil Jess | Beauty, Fashion & Lifestyle Blog. All rights reserved.